STORY BY BRIAN SWEENEY AND JACQUELINE OWENS. The creator of modern atomic physics and forerunner of the nuclear age, Rutherford was one of the greatest scientists of the 20th century. 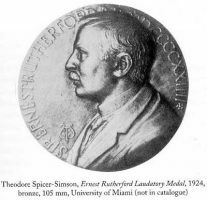 He was awarded the Nobel Prize in Chemistry in 1908 and a baronetcy in 1931, choosing the title Baron Rutherford of Nelson. In the words of Einstein, he was “a second Newton”, the man who “tunneled into the very material of God”: inventor, experimenter and Nelson farm boy. Rutherford’s strengths as a scientist are legion. A prolific, practical inventor and scientific theorist, his ideas were based on rigorous experimentation. He was one of the original “demo or die” scientists, turning conjecture into fact. 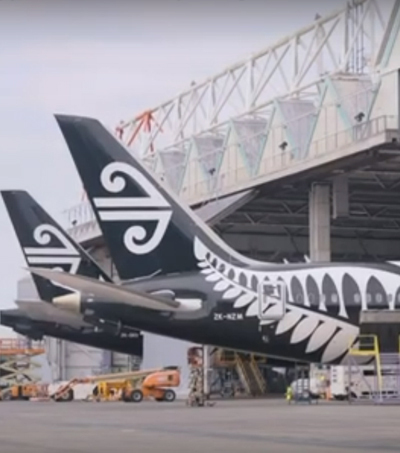 He attributed his willingness to experiment and find unorthodox solutions to his hardscrabble background in rural New Zealand: “We don’t have the money, so we have to think”. Ernest Rutherford’s three major discoveries shaped modern science, created nuclear physics and changed the way that we envisage the structure of the atom. Rutherford’s first discovery was that elements are not immutable, but can change their structure naturally, from heavy elements to slightly lighter. This led to him being awarded the Nobel Prize for Chemistry in 1908, at the age of 37, for his work on the transmutation of elements and the chemistry of radioactive material. His second discovery, the nuclear model of the atom, became the basis for how we see the atom today: a tiny nucleus surrounded by orbiting electrons. He built on this discovery for his third great achievement, the splitting of the atom, making him, as John Campbell says, in his biography of Rutherford in The Dictionary of New Zealand Biography, “the world’s first successful alchemist”. ‘Ernest, what’s up, my boy?’ he called out. ‘I’m counting,’ the boy called back. There was a rumble of thunder which shook the house. Appropriately, Rutherford’s first recorded experiment was a cannon constructed from the brass tube of a hat-peg with a marble for a ball and a dose of gunpowder to ignite the device. It was not the best example of Rutherford’s experimental savvy, the resulting explosion failing to deliver the marble to the target twenty metres away, but succeeding in destroying the cannon. The Rutherfords were a close-knit family, gathering around the piano to sing songs; forging a life with few amenities in the isolated and rugged landscape. Though two of the brothers drowned in a childhood accident and another died as an infant, the life of the Rutherford siblings was filled with the curiosity-satiating distractions of growing up in the New Zealand outdoors. There were the stimuli of farm-life: poaching eggs from bird’s nests, orchard raiding, swimming in the Wai-iti river, shooting Kereru pigeons fat from feeding on berries, calculating the level for storage ponds at the flax-mill. Earning enough to feed the family was a struggle for James Rutherford at times. He ran a farm and flax-mill at Foxhill, and another at Pelorus when the family moved there, in 1883. In 1885 he turned to saw-milling, manufacturing railway sleepers for the Government. However due to an economic downturn his contract was cancelled (while he was recovering from an accident which left him with five broken ribs) and he had to leave the family to look for new opportunities in the North Island. He founded a steam driven flax-mill in Pungarehu, Taranaki, employing twenty people, where he moved the family in 1888. 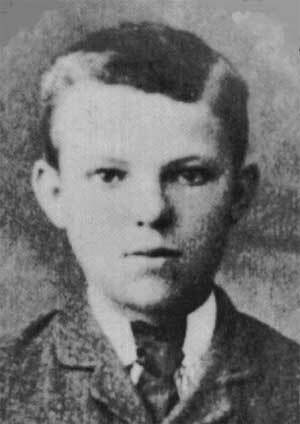 In the school holidays Rutherford busied himself with farm chores, helping out on the farm or at the mill. He had distinguished himself from his earliest days at school, but it took two attempts for him to win an education board scholarship and follow his older brother, George, to Nelson College. For children of less-than-wealthy parents a scholarship was one of the few options available with which to obtain further learning. Rutherford attended Nelson College as a boarder for three years, and came under the tuition of William Littlejohn, who taught him mathematics and elementary science. He topped his class in every subject in his final year and, after sitting the exam twice, won one of ten nationwide Junior Scholarships. In his final year he was also head boy, dux, and was a forward in the rugby First XV. In 1890, he enrolled at Canterbury College, University of New Zealand (now The University of Canterbury). At Canterbury College he continued to play rugby and took part in the student Dialectic Society (a debating club) and the Science Society. In 1892, Rutherford completed a Bachelor of Arts degree from Canterbury College and won the only available Senior Scholarship for mathematics. This made it possible for him to return to university for an Honours year, completing a Master of Arts with double First Class Honours in Mathematics and Physics. 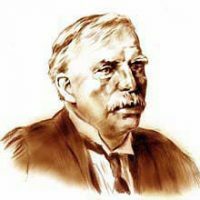 At Canterbury he was taught by Professor Alexander Bickerton, whose “genuine enthusiasm for science gave a stimulus to me to start investigations of my own”, as Rutherford would credit later. It was in 1893 that his talent for original experimentation and research began to manifest itself: a penchant for creating innovative experiments to solve problems. The findings in his first year’s research were based on his invention of a machine that could measure time differences of up to hundred-thousandth of a second. With this device he demonstrated that it was possible for iron to be magnetized by high frequency currents. In 1894, Rutherford completed a Bachelor of Science in Geology and Chemistry and in 1895 was awarded an Exhibition of 1851 Science Research Scholarship (but only after the top-ranked candidate withdrew). He elected to work as a research student at the Cavendish Laboratory, University of Cambridge, under Professor J.J. Thomson. 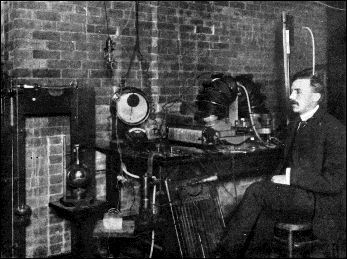 The Professor was studying the conduction of electricity in rarefied gases, which led to his 1897 discovery of the electron. This was the first object to be discovered that was smaller than an atom. At Nelson College and Canterbury College, fostered by Bickerton, Rutherfordhad been no more than an excellent student. With his move to Cambridge, on a scholarship designed to benefit young graduates from the outposts of Empire, his gifts were to be fully recognised (Rutherford was amongst the first “foreign” students to be admitted to Cambridge, without going through the undergraduate system). Family anecdote recalls that Rutherford was working on the farm when he received news of the scholarship: “That’s the last potato I will ever dig” he remarked. Rutherford’s advances in the study of radioactive atoms (most notably discovering that two different emissions, named alpha and beta rays, emanate from radioactive atoms) and his genius for experimentation secured his reputation, even compared to his brilliant mentor Thomson. In 1898, at the age of 27, he moved to McGill University in Montreal, where he held the position of Professor of Physics. 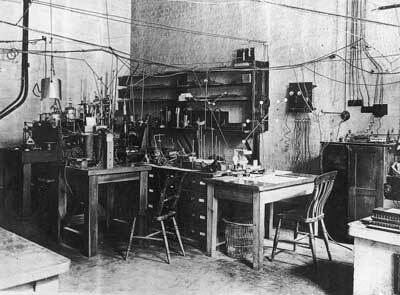 c. 1926 The apparatus used by Ernest Rutherford in his atom-splitting experiments, set up on a small table in the centre of his Cambrige University research room – Caverndish Laboratory. The McGill years, from 1898 to 1907, were significant for two major developments. Firstly, Rutherford was finally on a secure enough financial footing to marry his long-time fiancé, Mary Georgina Newton. She was the daughter of Mary Newton, who was Rutherford’s landlady in Christchurch, prominent in the movement which saw the women of New Zealand granted the vote in 1893. 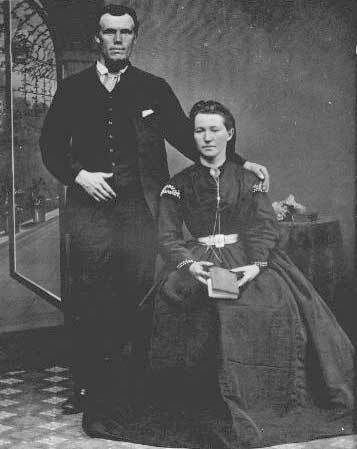 Rutherford and Mary were married in 1900 in Christchurch. 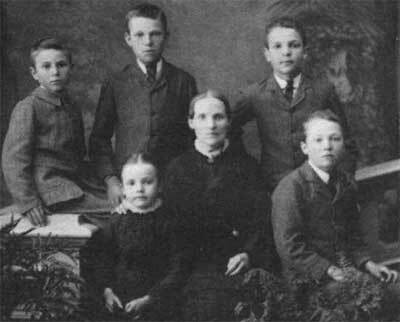 Their only child, Eileen, was born in 1901. While at McGill, Rutherford also developed a range of devices including one for measuring vibrations caused by streetcars and another for trains to signal to stations using wireless telegraphy. Much of the apparatus he developed is today housed at McGill’s Rutherford Museum. 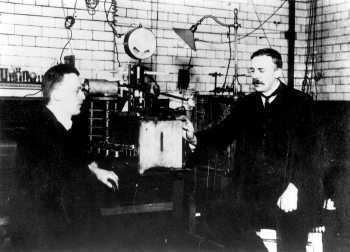 In 1907, at the age of 36, Rutherford was lured back to England to become Professor of Physics at Manchester University. In 1907, Rutherford began a debate with physicist Antoine Becquerel on how alpha particles, reacted when they were ejected from radioactive material. Discovering that they tended to bounce off air molecules, he surmised that there had to be something at the centre of atoms to deflect them. He tested his assumptions by bouncing alpha particles off a sheet of gold leaf and determined that the most powerful part of an atom was a very small, heavy, core at its centre, an electrical charge concentrated at a point – the nucleus. This was surrounded by a cloud of electrons made up of an opposing electrical charge. This concept of opposite charges which, as David Eliot Brody and Arnold R Brody noted, “marks the beginning of the modern understanding of the structure of the atom”, was Rutherford’s second great discovery. As Campbell says, “the nuclear model of the atom had been born”. During World War I, Rutherford worked on acoustic methods of detecting submarines and developed several new technologies. He then drew on a lifetime’s strengths in practical experimentation for the third great breakthrough of his career. Rutherford, as McLauchlan writes, “detected the transmutation of one elementary material, nitrogen, into another, oxygen, which was induced artificially when the nitrogen atom was bombarded by the natural alpha articles of radium.” Rutherford was, as he describes the process himself with typical understatement, “playing with marbles.” He was using alpha particles to eject protons from materials containing hydrogen when he found the same thing happened in nitrogen (which doesn’t contain hydrogen). But more importantly the proton came out at higher energy than it could have received by collision. 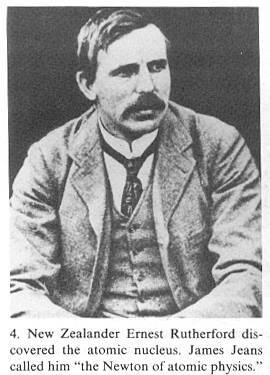 Effectively Rutherford had “broken up” or split the atom. With this experiment, he was the first human to create a “nuclear reaction”, though a weak one. From Rutherford’s first discovery onwards he had swept away accepted models of the stable atom, altered the course of modern science and made possible the development of nuclear physics. 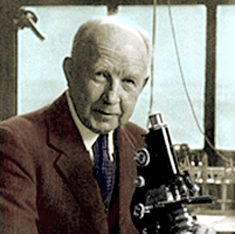 Once more Rutherford’s demonstrations had changed the way we viewed and conceived of the world, breaking through the gross world of matter into the subtle world of atoms. “…you could tell when work was going well in Rutherford’s laboratory: he strode about singing a spirited rendition of “Onward Christian Soldiers.” His character, full of hearty good humour interspersed with imperious commands, was more that of a boisterous colonial farmer than the world’s leading scholar. Yet by virtue of his forceful personality and an intuition for picking the right experiment, he was a revolutionary …. Rutherford was a man of great energy and persistence, a keen golfer and motorist, and a mentor for young science students in Britain, especially New Zealanders. James Chadwick, who won the Nobel Prize for Physics in 1935 for discovering the neutron (a particle first predicted to exist by Rutherford in 1920), was one of a number of scientists who studied under Rutherford and achieved lasting fame. Another notable young colleague was Niels Bohr, who won his own Nobel Prize (for Physics in 1922) for placing the electrons in stable orbits around Rutherford’s nucleus and thus explaining the origin of light emitted by hydrogen atoms. While at Manchester, Rutherford’s assistant was Hans Geiger, and the 1907 Rutherford-Geiger detector was improved in 1928 to become the Geiger-Muller tube we know today for measuring radiation. Robert Oppenheimer, later to be known as the “father of the atomic bomb” for his leading role in developing the bomb in the Los Alamos Laboratory during the Second World War, also studied at Cavendish under Rutherford. 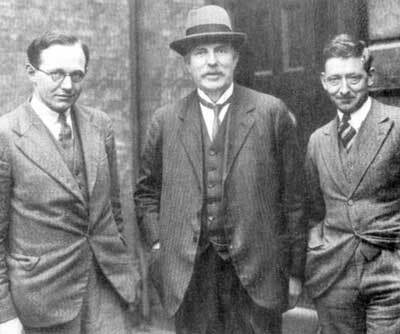 John Cockroft and Ernest Walton were driven by Rutherford to construct the first high energy accelerator and were the first to use it to split the nucleus by entirely artificial means. However the baronetcy was awarded at a sad time in his life: The Rutherford’s only daughter, Eileen had died eight days before, just nine days after the birth of her fourth child. On visits Rutherford made back to New Zealand, he was a celebrated figure. He came home for the last time in 1925, for six weeks, to see family and give lectures. In Auckland he stated, “I have always been very proud of the fact that I am a New Zealander.” Described by reporters as “an imposing figure, tall, well-built and with bright blue eyes”, Campbell chronicles how Rutherford was hailed as a national hero, lectured to packed halls and called for the Government to protect New Zealand’s natural heritage. He also called for an institute to be set up in which New Zealand scientists could carry out research that would benefit farmers: this assisted in the establishment of the Department of Scientific and Industrial Research in 1926. He was still a seemingly healthy, vigorous man, when in 1937, he entered hospital for a minor hernia operation after straining himself cutting down some trees. Within a few hours of the operation it was clear his intestines were not working and they never worked again. Four days later, he suddenly said to his wife from his sickbed, “I want you to leave one hundred pounds to Nelson College. 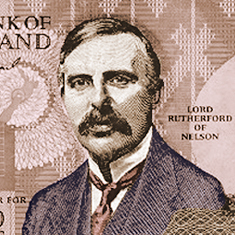 You can see to it.” Then he added more loudly, “Remember, a hundred to Nelson College.” He hardly spoke after that according to his wife, and at the early age of sixty-six, Rutherford died, on 19th October, 1937. His ashes were interred at Westminster Abbey near the tombs of Isaac Newton and Lord Kelvin. His medals were gifted to Canterbury College, now University of Canterbury. In 1992, his image was placed on the new New Zealand $100 note. Campbell, J. (1996) “Ernest Rutherford”, The Dictionary of New Zealand Biography, Volume Three, 1901 – 1920. Auckland University Press/ Department of Internal Affairs. Campbell, J. (1996) Rutherford’s Ancestors. Christchurch, AAS Publications. Campbell, J. (1999) Scientist Supreme. Christchurch, AAS Publications. Grayland, E. (1967) Famous New Zealanders. Christchurch, Whitcombe and Tombs Limited. McLauchlan, G. ed. (1995) Bateman New Zealand Encyclopedia 4th edition. David Bateman Ltd.
Oliphant, M. (1972) Rutherford – Recollections of The Cambridge Days. Elsevier, (a personal account of Rutherford’s time at Cambridge). Rhodes, R. (1986) The Making of the Atomic Bomb. Simon & Schuster. Riley, R. (1995) Kiwi Ingenuity: a Book of New Zealand Ideas and Inventions. AIT Press. Brody, D.E. & Brody, A.R. (1997) The Science Class You Wish You Had. Allen and Unwin. Waterson, S. (1999) “Ernest Rutherford – The Most Influential People in the South Pacific”, Time magazine, October 25. Easton, B. (1997) “Kelly’s Crystal Career”, The New Zealand Listener, June 21. Costley, N. (1999) “‘Crocodile’ Launched World Into Atomic Age”, Sunday Star Times, October 17. Stocker, M. (1999) Golden Atoms: The Ernest Rutherford Medals. Canterbury University Press. Rutherford biographer Dr. John Campbell’s Rutherford. Cox, I and Wittal, M. Rutherford, The Early Years. 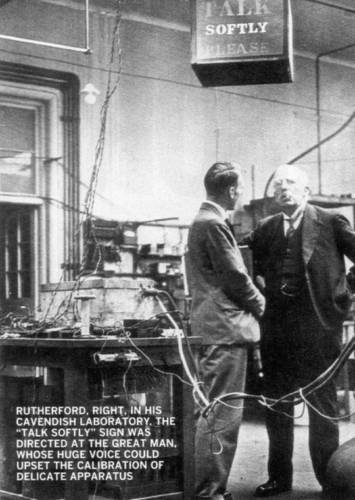 Devons, S. “Rutherford’s Laboratory”, A Hundred Years and More of Cambridge Physics. Cavendish Laboratory / Cambridge University Physics Society. 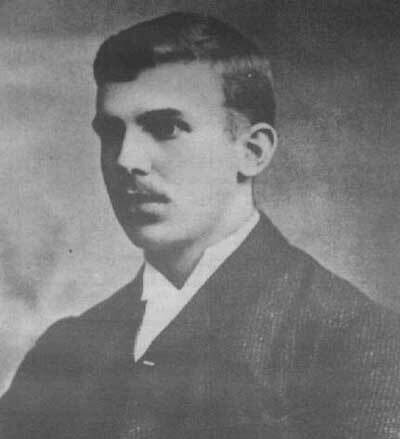 “The Nobel Prize for Chemistry 1908 : ERNEST RUTHERFORD Biography”. The Electronic Nobel Museum. The Nobel Foundation. “Chemistry & New Zealand: Who was Ernest Rutherford?”. Kiwi Web. 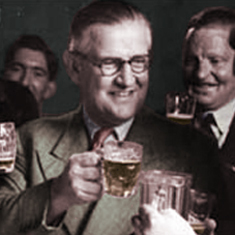 “From Nelson farm boy to father of the nuclear age – who was Rutherford? What becomes of a man who tries to tunnel into the very material of God? An exciting theatrical exploration of the life and work of revolutionary New Zealand physicist Ernest (Lord) Rutherford. The play focuses on the enigma that was Rutherford, follows his obsession with science and probes his personal relationships with his wife Mary, daughter Eileen, and friend and colleague, the Russian, Kapitza. The Rutherford documentary is based on John Campbell’s book “Rutherford Scientist Supreme” and was written, directed, editored, and co-produced by Gillian Ashurst. The co-producers were John Campbell and Gillian Ashurst. 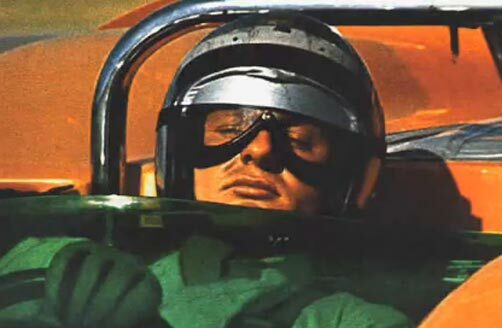 The documentary tells the story of Rutherford’s life and work in three one hour episodes. John Campbell was awarded a 2012 Education and Communication Award from the Canadian Nuclear Society for the documentary. Purchase your DVD copy of the Rutherford documentary from John Campbell at Rutherford.org.nz. Hello There. I found your weblog the use of msn. That is a really neatly written article. I will be sure to bookmark it and come back to learn more of your helpful info. Thank you for the post. I'll definitely comeback.